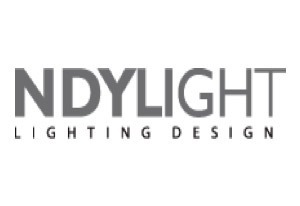 NDYLIGHT are seeking a full time Head of Creative Lighting Design for our London Office. • Taking a leading role in the development of the NDYLIGHT business unit work with new and existing clients, with a principal focus on work generation and client relationships within a variety of sectors, including retail, exhibition, commercial, hotels, leisure, sports, health, education facilities, residential, arts, public realm and master plan landscape developments. • Maintaining existing client relationships with excellent client facing skills and working within a multi-disciplinary organisation to deliver creative lighting design solutions as part of a multi-service appointment. • Developing the NDYLIGHT brand in the UK and overseas and be self motivated in assuring the growth of an NDYLIGHT studio having its own identity and work-winning potential. To be considered for this role, you will have at least 10 years’ experience in architectural lighting design with a degree in lighting design, interior, product or architecture design or other related field. You will have fantastic organisational skills with a disciplined work ethic to enable the most productive working environment and be motivated by the prospect of design excellence with a practical and commercial awareness. IT skills must include Microsoft Office, AutoCAD, Revit, Photoshop, InDesign and Agi32/DiaLux. Ideally you will have knowledge and experience of sustainability, health and wellbeing in the built environment. You will be an excellent communicator with strong client relationship and project management skills. NDYLIGHT promotes a positive and sociable working environment. If this position is of interest, please apply by submitting your CV with work examples and a covering letter to e.hewitt@ndy.com by 25 January 2019.